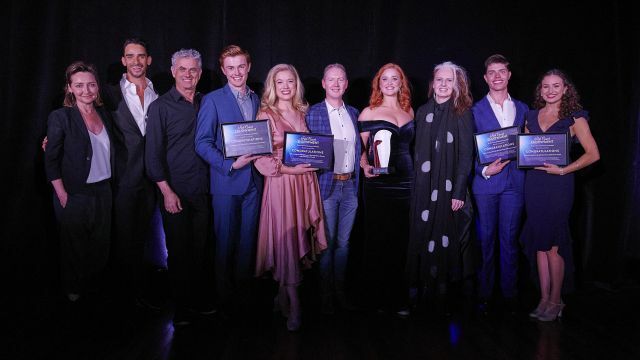 Annie Aitken took home $20,000 prize money, and the runners up - Joel Granger (She Loves Me, Cry-Baby), Todd Jacobsson (The Book of Mormon), Courtney Monsma (Mamma Mia), Ashleigh Rubenach (Cry-Baby, My Fair Lady) and Lyndon Watts (Aladdin, Singin’ In The Rain) - were each awarded $1,500. 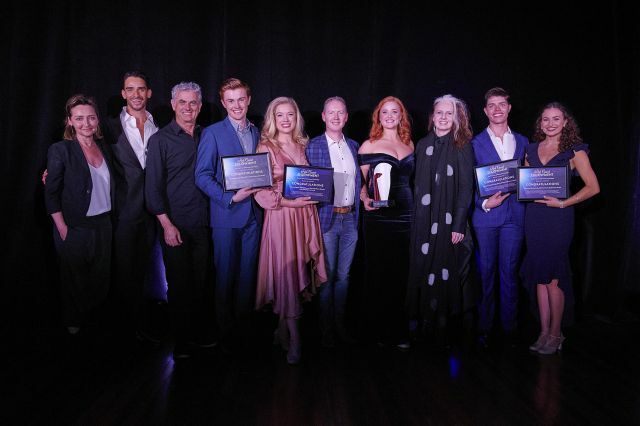 Melbourne’s East End Theatre District Artist Development Award, an initiative of Mike Walsh and the Marriner family awarding a $5,000 cash prize to a promising young music theatre talent, went to Ashleigh Rubenach. The Playbill Future Prospect Award went to Stephanie Wall. This award, generously sponsored by Playbill, is a $1,500 cash prize to a semi-finalist who didn’t make the finals but the judges wanted to encourage to return to the competition next year. Image: Finalists and Judges of the 2018 Rob Guest Endowment and Annie Aitken, winner of the 2018 Rob Guest Endowment (c) Brian Geach.